It was back in 1892 when this fashion bible was founded by Arthur Baldwin Turnure as a society weekly magazine. When fashion press first showed up no one could have known the impact it would bring on people , but it is a fact that by the end of the 20st century fashion magazines and the minds behind them made the fashion world go round by making or breaking a trend, or even a designer with a few careful words.Vogue though went though several phases with the first one being the post Turnure era. After he died, a young lawyer and publisher Condé Nast, turned the magazine up side down by adding more color, advertisements, along with society and fashion reports. 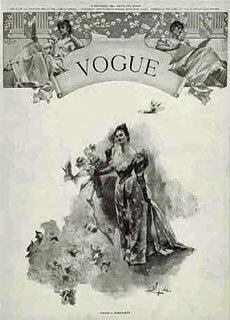 The magazine went from weekly to fortnightly , and British and French editions made their appearance quite successfully (a Spanish edition showed up as well but it was rather unsuccessful) aiming to set Vogue as a glamorous and fun magazine which would affect women of the society. Nast being a mega mind had those advertised on the magazine to pay huge ad fees for the magazine was now diverse and bought by a lot of women. Then in 1913 Baron Adolphe de Neyer , a celebrated portrait photographer, was hired to take pictures of stylish women, shoot amazing editorials showcasing stars of that time and cover all the big events, something people love till now. 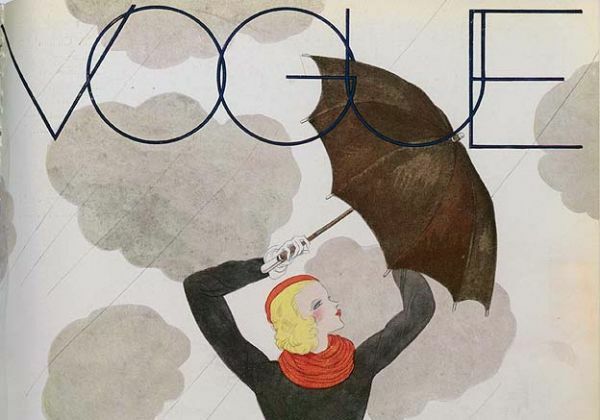 When World War I was at its pick, the British edition of Vogue was established (1916) something that might make you think that that was a bad move for Nast to make. The women left behind though, suffering from loneliness and anxiety for their men were at war, found Vogue a void of fancy oblivion, an insight to this perfect and glamorous world of fashion. 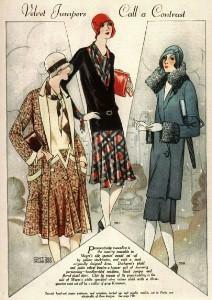 It was those middle class women who lifted up fashion press after the WWI ended and the ones that keep it lifted today. Great depression (1929 - 1939) triggered a huge subscription movement that was actually quite long as it lasted during WWII as well (1939-1945). Women bought Vogue, buy Vogue, and will be buying Vogue for as long as fashion exists. "Vogue was the summit, the apex, the ne plus ultra of the fashion world. It was, quite simply, It'. It was the biggest-selling American fashion magazine of all. No other one could compete." 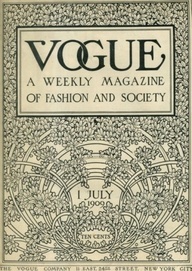 Several Vogue covers, before photographs were introduced in press. Every single page was illustrated.